The first thing I bought myself was a new pair of prescription sunglasses. One of the most exciting perks I have now regarding benefits is my vision insurance. I have no deductible and I can get frames for $10 copay and new lenses for $10 copay. I ended up getting a pair of Ralph Lauren sunglasses with polarized lenses. They look similar to the ones pictured below. There were several other pairs that I chose before I picked these out, but because my prescription is curved (whatever the heck that means) the lens wouldn't have fit the glasses. I think I ended up with the perfect pair though. They fit my face wonderfully and they make a world of a difference. I really only wear glasses when I drive and watch TV. I am terribly nearsighted, and it seems way worse at night. So, I've basically just dealt without wearing glasses when the sun is shining before now. I am so excited to see and block the sun at the same time!! I had to choose between brown lenses and gray lenses. I didn't know there was a difference and I'm still not really sure what each one means. But, he had me look through each one out in the sun and decide on a preference. I really liked the gray better but I was so afraid they were going to look bad in the brown frames. He assured me they would look fine, and I took his word for it... I'm glad I did because you really can't tell a difference at all. I googled the difference and this is what it said about it: The only difference between the two lenses is personal preference. Both lenses block 100% of both UVA & UVB lighting. Both lenses are as clear indoors as a clear lens and become darker outdoors than any previous technology of Transition. 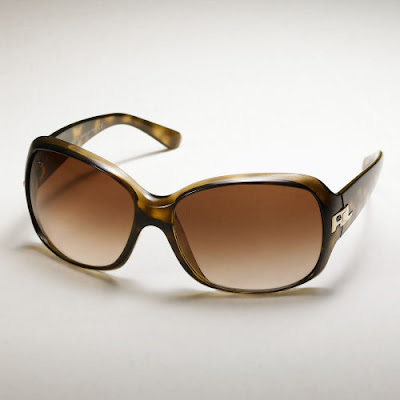 Brown lenses block more blue light thus reducing haze and glare and are more popular in Europe. Gray lenses tend to be more popular in the US and are a good choice for bright conditions. WHO KNEW? I will probably end up having to send back the bottom one, if not both. My twins :) may not work well in the bottom one... but I've had my eyes on it for a while now and I thought I would at least give it a shot! I didn't even realize they were the same color until just now. Oh well, I will only wear the bottom one to work probably and I will never wear the top one to work... so it should be okay. I had to have a shirt to wear to work that color during our orientation weeks (teal & black are our school colors). & honestly, that is all I bought. The sunglasses ended up costing me more money than I anticipated. I think it was because I got the polarized lenses. They ended up costing me $92 + tax but they would have cost me like $235 without the insurance. AND... me and Brian decided we are going to go on another cruise! HOPEFULLY! It really all depends on if it will be a good time to take off work... but it shouldn't be a problem because I will have the vacation days saved up by then, school will have already started, and we should be slowing down. It will be a 5 day cruise, in September, to the Bahamas-- leaving from Jacksonville, FL... which is only about a 5 hour drive from here. We will be going with another couple that Brian knows through work. I need to already start saving if we are going to do that! I hope it all works out! Its funny how when you have big plans to go shopping and spend lots of money you end up only buying a few things. I think its cause the cutest stuff is only in stores when you're broke! Great sunglass purchase!!!! I was an optician for 17yrs!!!! Yes, you read that correctly=0) Spend the money on the polarized lenses because you want to see as clearly as possible and you will have them for a couple of year. Break that down.....not bad sweetie=0) Just NEVER leave them in the car!!!! Always keep them in the case and always wet and clean with a cotton cloth. Never dry clean and do not use paper towels or anything similar. Dust and wood fiber from paper products will scratch those bad boys. Sorry, that just flew out, LOL!!!! great swimsuit picks! love them. LOVE the first swimsuit. It is different, and super cute! :) I'm following you now and look forward to reading more!! !